Located in the heart of the Mid-Atlantic, 15 minutes east of Richmond, VA, Mid-Atlantic Lift Systems is here to serve your rigging needs. 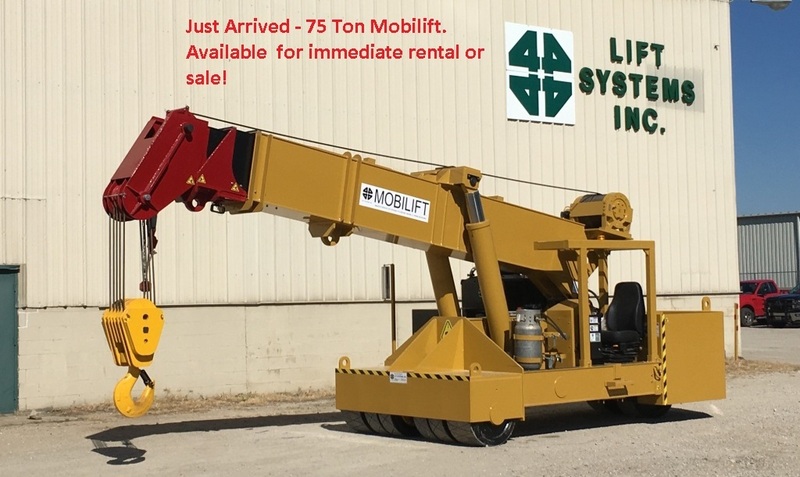 Our lines include hydraulic gantries and Power Towers from 20 to over 800 tons, mobile lifts and twin lifts to 110 Ton pick and carry, Lock & Slide systems, hydraulic platform trailers, Low profile dollies to 120 Tons, big wheel dollies to 150 tons, and hydraulic toe jacks. Give us a call today to learn how we can help you solve your rigging needs.